Very nice, I've still not seen this movie. 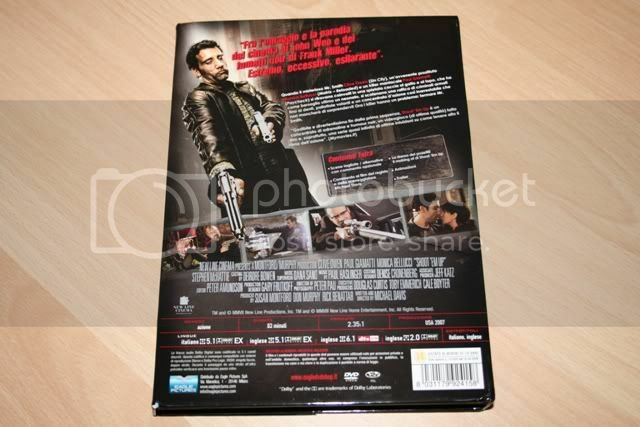 I don't think I've seen a dvd box like this before? James, apart from the first 20 secs of chewing on a freaking carrot, this one is packed with action sequences. Bit brutal, but in a good way :) A must-see ;) It's my first ''magnet box'' as well, haven't seen it before either. Well I'll have to pick it up as it's cheap the now. And it's called a magnet box? What will they think of next hehe. Em, no, it's not really called that... I named it, 'cause I couldn't think of anything else. Officially I think it's just a Collector's Edition. LOL! Well I think you should copyright it because you just know one day soon it's going to get used haha. It's a magnet box to me from now on though. Collector's Edition is sooo 2001. Hmm...The Grudge Korea Box is also magnetic ;) And I got some other magnetic editions...So nothing new, but still it looks great! "Sorry. The forums are still closed. Please come back Friday night or Saturday morning. Sorry for the delay. But it will be worth it."